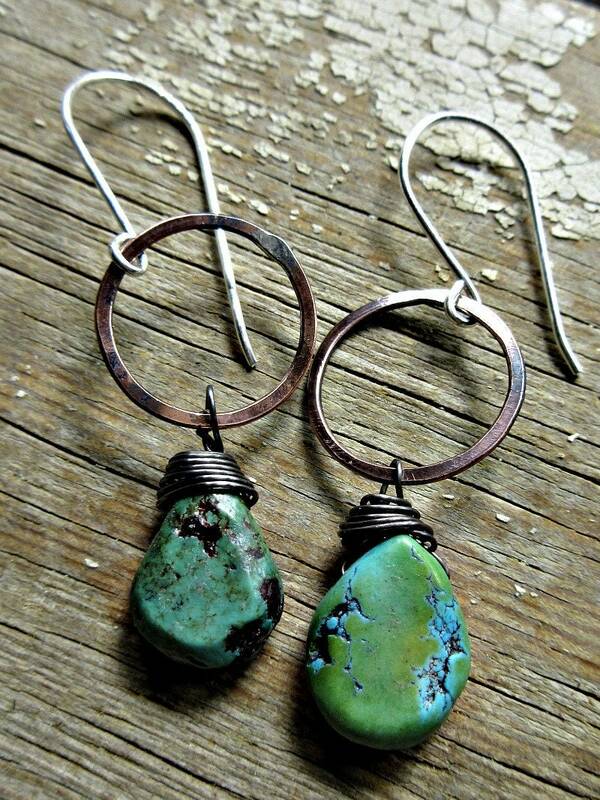 Rustic copper dainty hoop earrings with wire wrapped matrix teardrop turquoise stones, artisan made, Weathered Soul, rustic, cowgirl, urban chic. Approx. 1 1/2" long. 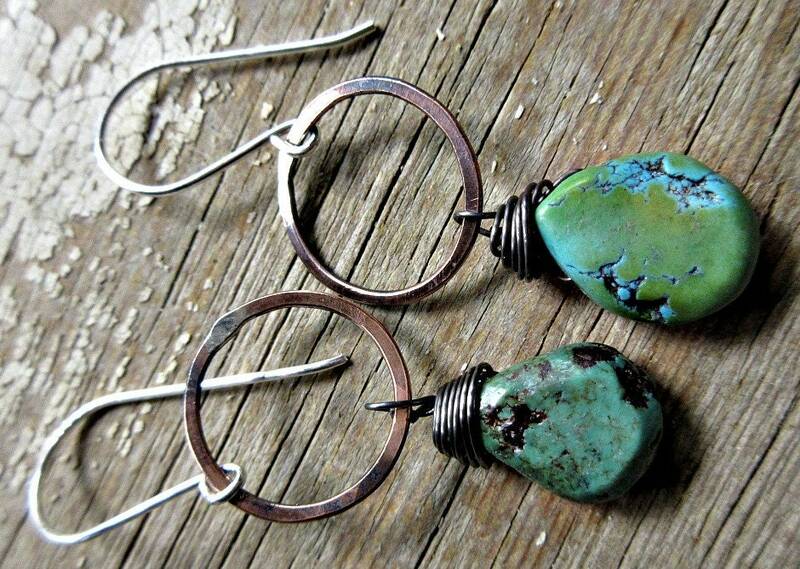 These are small but such a statement with the stones. 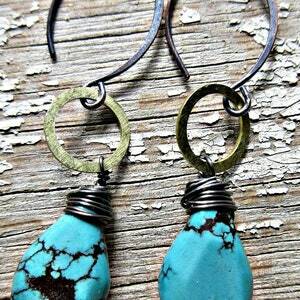 They are gorgeous with tones of greens and baby robin's egg blue coloration. Stunning earrings and quality to last a lifetime!